Washington and the rest of the Pacific Northwest are enjoyed far more when you're sitting behind the wheel of a brand new Dodge car, minivan, or sport utility. That's why the team at Yakima Chrysler Jeep Dodge Ram in Yakima, Washington are so excited about the Dodge lease options we've got happening right now. You may not have considered a lease before, but consider this: Do you keep relatively low miles? Do you enjoy owning the newest model of Dodge year in and year out? Would you enjoy lower monthly payments? Stop by our dealership today to see why leasing a Dodge might be the best thing you never knew you wanted. 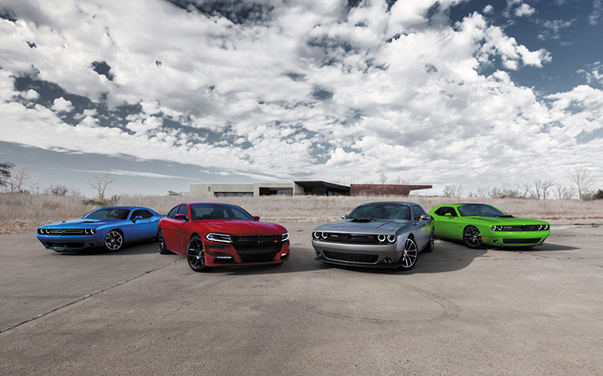 The entire fleet of Dodge vehicles are available for lease now at Yakima Chrysler Jeep Dodge Ram in Yakima, WA. From the muscly and truly powerful Dodge Challenger to the made-for-families Dodge Grand Caravan minivan crafted with the newest safety features available. Here in Yakima, WA we've also got the Dodge Dart, a compact four-door that's ideal for commuters and anyone looking to save on fuel costs. You can take a spin in any one of our fantastic, leasable Dodge vehicles. We promise you won't be disappointed. Curious about how to secure a low-rate loan from us? Past credit issues aside, the financing specialists here at Yakima Chrysler Jeep Dodge Ram in Yakima, WA are ready to work with you and your credit history to help secure a Dodge lease loan rate that fits your lifestyle best. Whether it's a plan based on your mileage or one to help you into the driver's seat of a more expensive vehicle, the team at Yakima Chrysler Jeep Dodge Ram is here to help.